Past, Present & Future – Where do you want to live? Our thoughts directly affect our body and our body affects our mind. With lives so full and busy, we can fly through the days/weeks without giving thought to what either are doing. It’s easy at times to spend huge amounts of mental and emotional energy living in the past or the future – with the result being that we are never really here, never truly present. This connection can be seen visibly via the posture and then also naturally through the complex connection of psycho-endocrinology – in simpler terms, this is how your mind and hormone system work to affect your mind and mood. Poor posture can impact on mood and overall health, as well as mood disrupting posture and well-being. Think of the body language of someone who is feeling dejected or depressed, they may appear with shoulders slumped, head forward and down, glum expression and meek vocals. Now think of someone who has just won a gold medal – they may appear upright, smiling, bright eyed and even glowing. The former is likely easily weighed down by external circumstances, events, feelings while the latter is literally being carried along in the moment. Living in the present moment (especially in the example given where achievement and elation are present) helps to keep levels of our ‘feel good’ hormones healthy. A third example would be the person who is always in a rush and looking for the next thing. They may create rigid postural patterns and live with high levels of adrenaline – fight or flight hormone. Adrenaline suppresses all the ‘feel good’ and balancing hormones, leading to dis-ease – this person is living for the future. These three examples of living in the past, present and future can be linked with what we call in yoga philosophy the three Gunas. (On a side note, the word ‘guna’, prounounced goo-na, is the Irish word for dress). In the yoga tradition the three Gunas are considered as the three threads of creation. These threads interweave to create a tapestry of matter – the physical, tangible and intangible experience of the universe. Everything we experience is made up to one degree or another of these Gunas. They are Tamas, Sattva and Rajas. Tamas is described as the dark, heavy and inert energy and Rajas, by contrast, is the fiery, frantic energy. Tamas is the couch potato in us and Rajas is the hyperactive maniac who cannot sleep and whose mind is always on the go. Sattva is the middle ground, a place of balance and is associated with clarity and light. We are made up of all three gunas and the trick is to keep them in balance and move towards the middle path. Tamas can be compared to living in the past, like the first example above. It can lead to a state of apathy and a mood of resignation and resentment of persons and past events – real or imagined. You could consider Rajas as the frantic energy of one living in the future (second example), always in anticipation of what will happen next. Sattva is the present moment, living in the light of reality. It is a very calm and clear view of now… and now… and now… – I think you get the picture. Moving towards Sattva is literally moving towards the light, shedding some of the weight of the past and dulling the projection of the future to connect with the clear and glowing thread of ourselves. Yoga, meditation, mindfulness, Tai Chi or any other practice that brings you into the moment. These practices offer systems to help you gain balance, health and well-being. If you would like to explore yoga and how you can move towards the light you could join us for our Yoga and Relaxation Retreat at the end of February or for a deeper exploration join us on one of our Yoga Teacher Trainings in 2017. 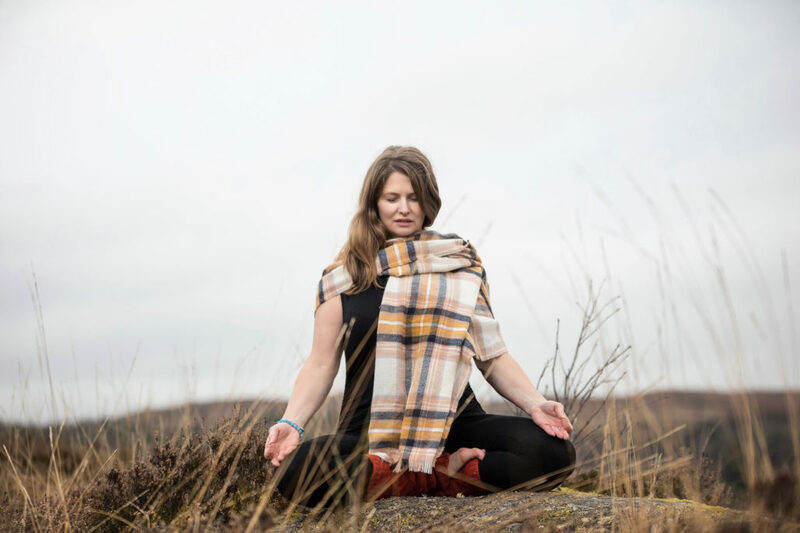 But remember, the invitation to be present is always there, you can make an activity mindful at any time – playing a musical instrument, chopping wood or even ironing your guna! Here is a short guided meditation that may help you to connect to your ‘light’ self or sattvic self. Here is a simple meditation technique to help bring you into the present (please find written version below). Sit on the floor or on a chair with your spine upright. Take a minute for your body to settle. As you exhale feel the weight of your body release into the earth. Allow the energy of tamas to weight you firmly in your seat. Allow your skin to soften allow your muscles to soften. Watch your breath and allow your thoughts to slow down, allow the flowing thoughts of the day, that rajastic energy to quieten. As you inhale watch your breath rise from around the level of the navel and up towards your heart centre, as you exhale watch the energy of the breath move from the heart back to the navel. https://www.ardnahoo.com/wp-content/uploads/2017/02/comp_2B1A8490_RT_KG.jpg 1333 2000 ardnahoo-admin https://www.ardnahoo.com/wp-content/uploads/2017/09/Ard-Nahoo-logo-2.png ardnahoo-admin2017-02-08 13:00:102017-05-16 13:05:53Past, Present & Future - Where do you want to live?